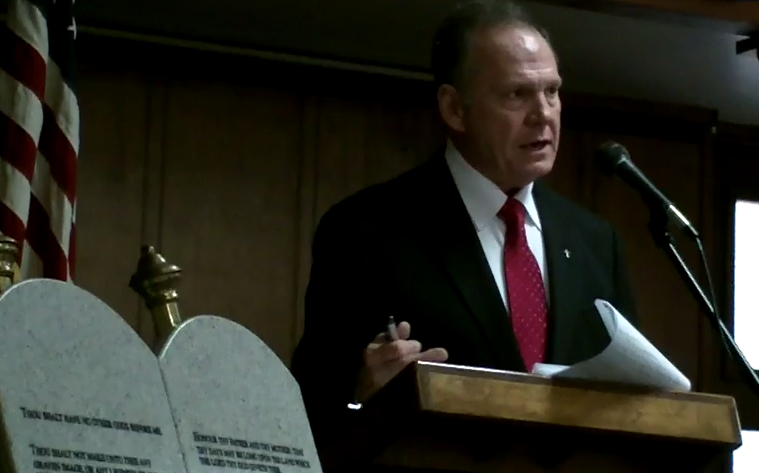 MONTGOMERY, Ala. — The Southern Poverty Law Center, an organization that become notorious for creating its list of Christian “hate groups,” has filed a judicial ethics complaint against Alabama Supreme Court Justice Roy Moore after he sent a letter to Gov. Robert Bentley, asking that he uphold the state’s Sanctity of Marriage Amendment. As previously reported, Moore, also known as the “Ten Commandments judge,” sent the letter to Bentley on Tuesday following Friday’s ruling by U.S. District Judge Ginny Granade, who declared the amendment unconstitutional. Moore then called upon called upon Bentley defend the state Constitution as he does the same as Alabama Supreme Court Chief Justice. Bentley issued a statement soon after, vowing to fight to defend Alabama’s Sanctity of Marriage Amendment. “Our law and Alabama Supreme Court precedent are clear that lower federal and appeals court decisions carry only persuasive authority but are not binding on state judges also sworn to the United States Constitution, and who have equal authority to rule on such matters,” he commented in a statement. In addition to taking issue with Moore, the Southern Poverty Law Center has been known for compiling its list of what it calls “hate groups” due to their stand for biblical marriage, including Focus on the Family and Family Research Council among its over 1,000 listed organizations. In 2012, Roy Corkins, who was arrested after entering the offices of Family Research Council with a loaded gun, numerous rounds of ammunition and over a dozen Chick-fil-A sandwiches, told the FBI that his planned massacre was motivated by the “hate group” list on the Southern Poverty Law Center (SPLC) website. Tony Perkins, who leads Family Research Council, said that while the Southern Poverty Law Center characterizes Christian organizations as “hate groups,” it is instead the Center itself that is being hateful and inciting hatred with its actions.